Nicki Minaj has hopped a new version of Tyga’s single “Dip”. It arrives with a new video, directed by Arrad and Tyga. The clip “was inspired by Michael Jackson and Janet Jackson’s ‘Scream’ video,” according to a press release. Watch below. On November 4th, Nicki made history when this song became her 100th Billboard hit, becoming the first woman in history to do so. The song is currently sitting in the 83rd slot on the chart. 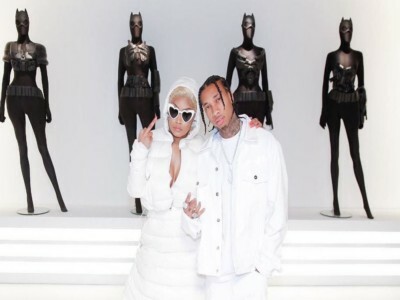 Download ringtone Dip – Tyga ft Nicki Minaj for cellphone in here!